Are you an exploring foodie craving fine wine and cuisine, or more of an average Joe hankering burgers or pizza? 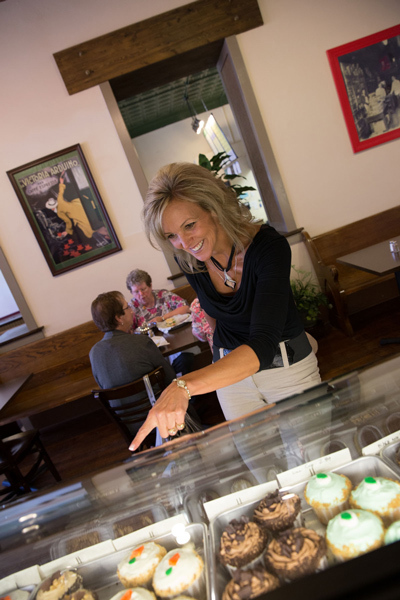 Check out the variety of Ripon downtown restaurants, ice cream parlors, pizza joints, bars, pubs and sub shops! If you aren't hungry yet, you will be! 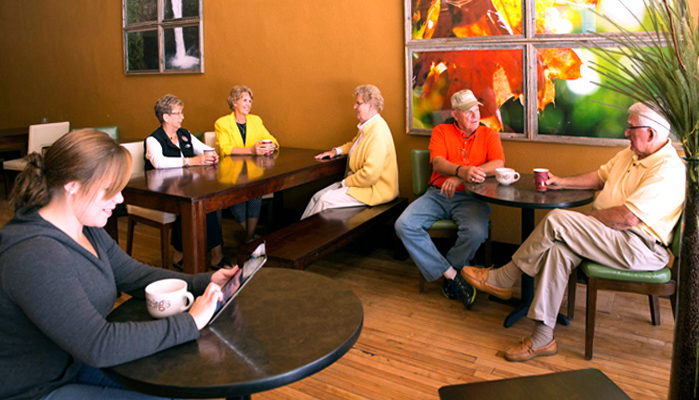 Mugs Coffee House is located in historic downtown Ripon. Take a break with a steaming hot cup of gourmet coffee, cappuccino, tea, or one of our ice cold drinks. They also have great homemade treats. Events such as book clubs and live music are held throughout the week and weekend. Ask about hosting a meeting or event in our side room. Open Monday through Friday 6:30 am to 8:00 pm, Saturday 8:00 am to 8:00 pm, and Sunday 8:00 am to 2:00 pm. Watson Street Tea & Treats is a unique boutique offering bulk loose leaf teas, gourmet popcorn, fresh cinnamon roasted nuts, handmade chocolates (available October through Mother's Day) and a selection of gifts & greeting cards. The shop features one of the largest selections of bulk teas in the area. Tea & Treat enthusiasts are encouraged to stop by and sample their products. A&W Restaurants, Inc. is a chain of fast-food restaurants, distinguished by its draft root beer and root beer floats. The restaurant offers fine family food at reasonable prices, serving a typical fast food menu of hamburgers and french fries, as well as hot dogs. A&W began in Lodi, California when Roy Allen began a partnership with Frank Wright to help him with the root beer business he had started in 1919. They branded their product A&W Root Beer after their last names. A&W is a fast food franchise company with locations throughout the world. A&W is open for lunch and dinner. The Baker's Bar is a locally owned business. We started our bakery business in Westfield by opening up a licensed in-home bakery called Mom & Me Bakery. Founded in 1960, Domino's Pizza is the recognized world leader in pizza delivery operating a network of company-owned and franchise-owned stores throughout the United States. We choose our ingredients on the basis of safety, taste and nutritional content to bring our consumers what they want. Domino's Pizza dedicates its attention, energy and resources to one mission: Deliver a delicious, hot and fresh pizza made with the highest quality ingredients, every time. J's BBQ is a Texas inspired, Wisconsin-spirited venue offering IN-HOUSE SMOKED baby back RIBS, BRISKET, CHOPPED CHICKEN, PULLED PORK, WINGS, and a variety of mouth watering HOMEMADE SIDES. J's BBQ, it's SMOKIN' HOT Y'all!!! Open Wednesday through Saturday 11:00 am to 8:00 pm. Knuth Brewing Company is a microbrewery in historic downtown Ripon, WI., specializing in creating handcrafted artisan beer with the highest quality ingredients. Also serving salads, paninis, wood fired pizzas and desserts. Open Tuesday through Thursday, 11:00 am to 9:00 pm, Friday and Saturday, 11:00 am to 10:00 pm. For good old fashioned home cooked meals at affordable prices, look no farther than Kristina's Family Cafe. Open Monday through Sunday, 6:00 am to 2:00 pm. A great place for food, fun and friends. Miller's Tavern is well known in the area for their Friday night fish fry as well as Legend Larry's Wings, the best darn wings in the nation. Live entertainment occasionally featured along with karaoke on Friday nights from 9:00 pm to 1:00 am. Formerly Ripon's Post Office annex and a liquor store, this recently renovated Pub offers the best steak sandwich around along with many other char-broiled favorites, appetizers, and spirits. Serving from 11:30 am, 7 days a week. 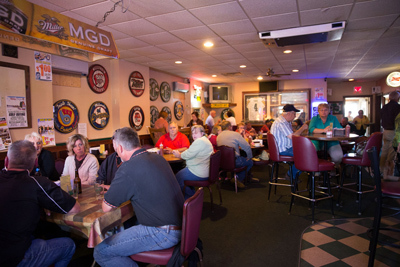 Roadhouse Pizza provides traditional, original thin crust pizza in a warm, neighborhood environment. 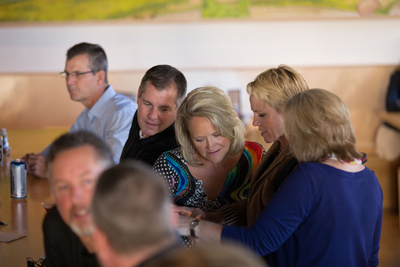 The restaurant has been serving generations of families the same way every time since 1980. Roadhouse's food is perfectly and consistently prepared, served hot, and on time. The restaurant's interaction with the guests is one of a kind as its kitchen and service staffs take center stage. Takeout orders are accepted and delivery is available. "Taste the tradition." Roadhouse is open from 4:00 to 9:00 pm Wednesday through Sunday.